The Smart Growth Alliance of Berks County is seeking nominations for its 2017 Smart Growth Award. 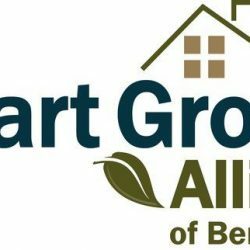 The Smart Growth Alliance of Berks County will recognize a smart growth development, project, and/or individuals and groups that have distinguished themselves by achieving and/or promoting smart growth principles with its 2017 Smart Growth Award. The smart growth principles may be found at http://smartgrowth.org/smart-growth-principles/. Past winners include the Sinking Spring Revitalization Project, Our Town Foundation Hamburg, Berks County Water & Sewer Association, ReDesign Reading – Reading Bike Hub, and the Big Mill Apartments. The winner will be announced at the Smart Growth Alliance of Berks County’s Annual Awards Program on October 17, in conjunction with the Albright College Center for Excellence in Local Government’s Annual Reception, to be held at Albright College. If you know of a person, project, or organization that deserves recognition, please nominate them today. For a nomination form, please contact the Alliance at [email protected] or call (610) 375-8458 and ask for Wes Stefanick. The mission of the Smart Growth Alliance of Berks County is to promote smart-growth principles by providing opportunities for dialogue, educational programming, and technical assistance to municipalities, developers, and stakeholders involved in land use development and transportation in Berks County.